Pakistan Tehreek-i-Insaf (PTI) could not reach a consensus on deciding a date to close the federal capital since the party’s decision-makers decided to change the date of its protest in Islamabad. The party is expected to meet on Monday to decide whether it will go ahead with its plan of closing the capital on November 2 or 3. Earlier, PTI’s siege was planned for October 30 but then the party decided to change it by a day or two. Apparently, the party changed its early decision for two reasons: First, due to Muharram and second, the previous date was falling on a Sunday, which would impact the protest. The Chairman PTI Imran Khan has already clarified that this time, the siege of the federal capital would continue until the resignation of Prime Minister Nawaz Sharif. Meanwhile, Shaikh Rasheed of the Awami Muslim League (AML) invited Imran Khan to address party supporters from outside his Lal Haveli in Rawalpindi, which the Chairman PTI has accepted. 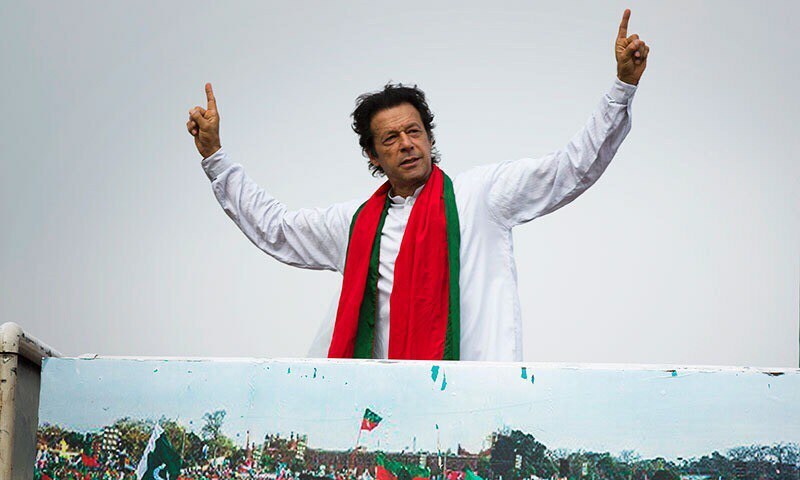 Khan would address a rally in Rawalpindi on October 28. On the other hand, the PML-N leaders have advised the provincial government and the local administration of Islamabad to not stop the PTI workers from entering the federal capital.